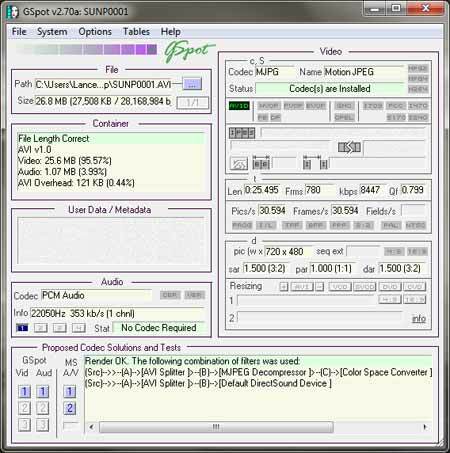 GSpot is a Freeware Audio Video Codec Checker created by Steve Greenberg. It can be used to quickly check which codec is required to play a select media file. GSpot will tell you if the system has the required codecs installed to play the file. Simply drag and drop the file you would like to check into the program window. Although GSpot is self executing and does run from the flash drive without installation, it writes to registry (and some may consider it not portable).